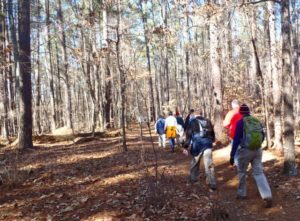 This weekend: Lit kites, loaded hikers, wily weasel - GetGoing NC! This sounds pretty awesome. Head out to Jockey’s Ridge on Saturday, hike, cavort in the sand, explore. Then, at 4 p.m. get out your kite, get out those extra Christmas lights and that super long extension cord, and participate in Kitty Hawk Kites’ Kites with Lights celebration. Watch folks experienced in doing this kind of thing — including someone with a 19-foot delta kite — light up the night in zig-zag fashion. Extra enticement: Free hot cider, free cookies. Logistics: Saturday, Nov. 24, 4-6 p.m. Free. More info here. Saturday forecast: Daytime high of 55 dropping to 34 overnight. No chance of rain. The Sunday after Thanksgiving rolls around and you’re rolling around with it. Day four of a nutritional free-fall and what do you have to show for it? A lot, unfortunately. 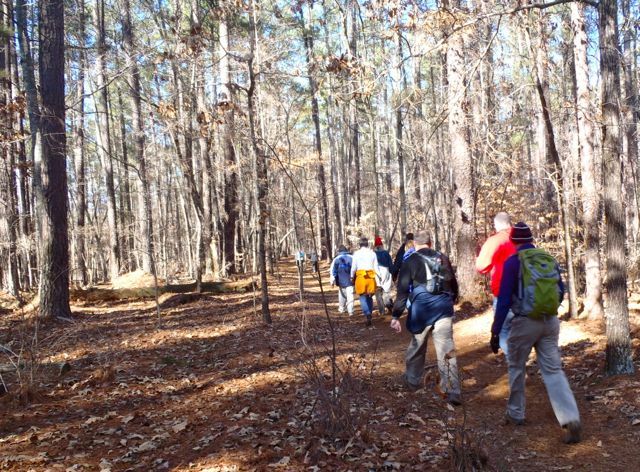 Mitigate the damage with a one-hour ranger-led hike at Lake Norman State Park. A ranger takes you on a waddle on the Alder Trail, getting your mind off the fact that you are waddling by telling you about the park, its history, its wildlife. Logistics: Sunday, Nov. 25, 2 p.m. at Lake Norman State Park. Free, but space is limited and preregistration is required, by calling 704.528.6350. Sunday forecast: High of 54, clear. “The Elusive Mink” earns a spot on our weekly highlight reel simply for its “No kidding?” factor. Mink? in North Carolina? Apparently. In this case at Elk Knob State Park, where they’ll be discussing the the critter known for its silken fur Sunday from 2-3 p.m. So, come for the program then hike around Elk Knob and look for signs of — cue theme to Mutual of Omaha’s “Wild Kingdom” — The Elusive Mink. Logistics: Sunday, Nov. 25, 2-3 p.m., Elk Knob State Park, 5564 Meat Camp Road (another reason to endorse the event — what a great address). More info here. Sunday forecast: High of 50, 0 percent chance of rain.